We enjoyed the holiday very much, good local walks and shops and easy access to the lakes from Kendal. Philip and Hilary made us feel very welcome and were very helpful. Our second visit to what we consider to be the best self catering apartment we have used in over 20 years of self catering. Hilary and Philip are a delightful couple for whom nothing is too much trouble. The apartment was cosy and welcoming with everything you could possibly need.The Welcome Pack and fresh flowers are a lovely thought. Location is superb for our requirements and we enjoyed many Lake District and Yorkshire drives. We will definitely be back for a third visit. We can not praise the Bolt Holy highly enough. A really excellent apartment well equipped and well maintained. A brilliant place to stay and unwind. The best self catering we have stayed in since we began this type of holiday 17 years ago. Very comfortable and clean, we had a lovely two weeks, and would recommend the apartment. Beech House Bolt Hole has been a lovely base from which we enjoyed exploring Cumbria and the Lake District.The owners, Hilary and Philip, went out of their way to give us a warm welcome and make sure we were comfortable and had everything we needed.This is 5 star accommodation which we will recommend to friends and family. The Bolt Hole was the perfect place to stay whilst visiting family in Cumbria and a great base for walking in the lakes. 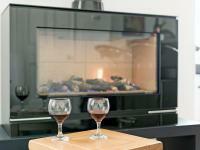 The accommodation is beautiful and really well equipped - very comfortable bed, amazing kitchen and lovely living room. Plenty of choice with bath/toilet/shower too. Highly recommended. Without doubt the best self catering cottage we have used over a period of 20 years.Standard of accommodation, facilities supplied within the cottage and especially the very thoughtful Welcome Pack were all superb. A well presented Holiday Home. A very welcome food hamper. Ideally situated for driving to the Lakes. Very pleasant owners. Would book again. Fantastic cottage with great amenities. 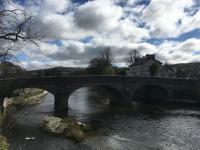 Perfect location for wandering around Kendal and also visiting the other parts of the Lakes. We thoroughly enjoyed our stay at Beach house Bolt Hole! The house was clean, tidy and very organised, which meant that we knew where to find everything. We were supplied with everything that we needed and the fireplace was so cosy and a lovely touch to the luxurious house!Definitely recommend! Located on top of a slope, the Beech house is not too near yet accessible by foot to the main town which offers peace and a great view of the town. Hilary was very welcoming and made us felt at home. She makes really good breakfast and do try the pancakes! The room was immaculate. Everything was thoughtfully put in place and decorated. They even use local Cumbrian bath products which smelled lovely. All in all, an excellent stay. we stopped only one night but we were really impressed by the room and the treatment. The room had everything you could wish for and the styling and attention to detail were fabulous. It was a great spot to be just out of town but with easy access to all Kendals hotspots. Topped off with a great breakfast and lots of local detail from Hillary - we would stay again. Lovely clean warm and very welcoming stay with an excellent stay. Really super - quiet, comfortable and very welcoming. Great breakfast too. Highly recommended. We had a very comfortable stay. The house is lovely and very tastefully decorated. Really good refreshments tray in door.Our hosts were great and supplied a wonderful breakfast. A luxurious and welcoming guest house in a fantastic location. We arrived to find we had been upgraded, thank you. The stay was a treat for my wife and this was the icing on the cake. Unfortunately the B&B part if the business retires at the end of the year, but they now have a self catering apartment called the Bolthole instead. We whole heartedly recommend the Beech House. The Beech House was brilliant warm friendly fantastic room and food. Cant recommend highly enough. The host were warm friendly and couldnt do enough for all their guest. Would stay again and recommend everytime. Perfect B&B after a long day travelling. Lovely homely place, small but very well maintained with lots of personal touches by the owners.Wonderful breakfast that sets you up for the day and just a short walk down into Kendal Town centre.Would definitely stay again given the opportunity. Lovely warm welcoming well-run bed-and-breakfast.Despite the title it is not a hotel – it is a very good B&B. Hilary is lovely, everything worked well – except the wireless broadband on the top floor – but I just did not have time to ask them to get this fixed – and I am not sure what the problem was – but a detail. Thoroughly recommended. Very helpful and welcoming.Room small but very nicely appointed.Great breakfasts! Very nice place in a good position (as long as you're fit enough to get up hills!) couldn't find many faults apart from the shower being on the small side.They have a nice breakfast selection and we managed to get a spot for parking (allocated to them). They even had some Kendal mint cakes in the room waiting for us with hot chocolate selection and lots of teas! Overall a very nice place! Great rooms and a lovely atmosphere. Everything you'd want in a B&B - parking, wi-fi, clean and comfy room, excellent breakfast, friendly yet unobtrusive host. 10 mins. up the hill from town, quiet location. Thank you so much for a magical weekend away.The room was beautiful and the service excellent, from the moment we checked in to the minute we left. if your in the keswick area this is the place to stay. I have stayed in hotels that claim there 5 star and been disappointed. i can assure you it wont happen here. The house is very nice with lots of details in the room. Breakfast is very good and all fresh food. The hosts are lovely person. 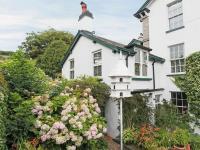 Very recommended, since it is not too far away from the Lake District and easy access to it. Thank you so much for our recent stay. I have already left reviews on TripAdvisor &Booking.com. Your hotel is lovely. Your rooms are beautiful and clean and all individual. I couldn't help popping my head into the other open doors! The breakfast was delicious. It was one of the two best we have stayed in in the UK, the other being a boutique hotel in Bath, which certainly had a refreshment tray on par with your own with lots of choice. We wouldn't hesitate to recommend your hotel &we would definitely return if we travel back to Kendal. 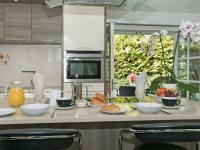 Clean and comfortable throughout with everything you could need, plus a fabulous breakfast including fresh fruits. Just 5 mins from the centre of town. Perfect! We've been coming on and off for 14 years. Same room, same exceptional care, same fine breakfast. Perfect . Tidy , well presented and efficiently run in all departments.very well worth the few extra pennies.there's cheaper, but none better.Bed and room clean.Friendly welcome.Breakfast tasty and fresh.What more do you need?Highly recommended. What a great 'find', Beech House was recommended by a friend and his description was spot-on. A great location with private off road parking, a comfortable room with a very good bed, an excellent breakfast and very friendly, helpful, knowledgeable hosts. I would definitely stay there again and recommend to friends. Fantastic place to stay. Very welcoming - superb room and delicious, hearty breakfasts. A real gem. We stayed for one night, breaking the journey fro Glasgow to London. As a mature couple travelling with adult daughter this was a great choice. We had adjoining rooms on the top floor - well appointed with good selection of toiletries. Ours had a fantastic view and a bookcase of reading material which would have kept us entertained on a longer stay. Friendly welcome set the tone- with good hints on local eateries, spot on as we had an excellent evening. A great touch was the honesty bar - just write down what you have and settle with you bill on checkout. We enjoyed a night cap in the garden as it was a lovely evening but there is also a comfortable lounge. Breakfast was tasty and freshly cooked to order. Can thoroughly recommend the hotel and would certainly stay again. Cannot fault a single thing. Left a full review on trip advisor for them as well worth every single penny and probably even more! We had a good overnight stay and were very happy with the room and facilities. Short walk to main town area in a pleasant quiet location with easy parking. Will return if in the area again. We thoroughly enjoyed our stay. Very clean and comfortable. The service was lovely and breakfast was fantastic. No quarms at all. Would definitely recommend. Beatifully appointed, and such thoughtful attention to detail. We felt really spoilt and appreciated our lovely surroundings and the kind (but not intrusive) welcome - and delicious breakfast. Thank you! The place was lovely the couple where very nice and the room was beautiful would stop there again.went on motorbike amd let us put in Grange. I too my boyfriend for two nights as part of his birthday weekend. I had spoken to the owner before had on several occasions and found her to be extremely helpful with any questions I had. The room was perfect when we got there and my partner was blown away. It's incredibly romantic and comfortable. I really would recommend going soon. We plan to go again in the future, and rent the one bedroom self catering flat (available next year) in the holidays. We were very sad to leave. Hillary was brilliant. Everything was great thank you. We thoroughly enjoyed our stay with you. The room,decor, food and hospitality were all of an exceptional standard. Lovely one night stay.A arm welcome, a comfortable bed and a very warm welcome. Wonderful warm and friendly welcome from Philip, lovely room, great facilities and excellent wifi. Would certainly recommend. Absolutely everything.....the warm welcome by the proprietors, the spacious and spotlessly clean room and of course the breakfast each morning. Ideal location to explore. My husband and I had a fabulous time at the Beech Hotel, rooms beautifully decorated and stylish. Breakfast lovely, look forward to booking again. Lovely comfy bed in very nice old house that is very well maintained.Very friendly welcome and we really liked the honesty bar.Fab breakfast - got what we asked and cooked as requested - seems simple but places rarely deliver - Beech House kitchen did.Recommendations for dinner were spot on.Found the road noise a small issue but it died down and we did have the window open.Would stay again. A beautifully well kept house with friendly hosts in a great location. This was a perfect overnight stay for us. A very warm welcome and lots of little extra luxuries made this a really lovely visit. Quiet and comfortable room and delicious breakfast. On our arrival we received a warm and friendly welcome. Rooms were furnished to a very high standard with cosy but well equipped Ensuites . A wide range of refreshments in the room and lots of extra touches e.g. Mint cake, tissues, water etc. thoughtful and well stocked 'shop' in the hallway with a honesty box - fabulous idea. Dining room outstanding features including the furniture, photographs and individualitems. Breakfast - first class especially the fresh fruit salad and scrambled eggs on toast. Thank you for a lovely stay after a 17 mile on the Dalesway . 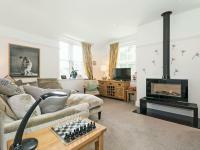 Great location as it is only a 5 minute walk to the town centre. Lovely guest house and friendly landlady. Would love to go back to Kendal,this will be first on our list when looking for accommodation. What a wonderful find Beech House was! The room was beautiful, spotlessly clean, and full of little touches that really added to the tranquility of my stay. I've never slept in such a comfy bed! Breakfast was also top notch and the owners are so friendly and helpful. I've stayed in many posh hotels that weren't half as luxurious as Beech House. Highly recommended! Wonderful gem in kendal.Spotless tastefully decorated roomBrillant hosts.Breakfast was tasty with lots of choice.Will return. Great B&B, spotless and a superb breakfast with great choices. Would stay again.On a very steep hill so will definitely keep you fit walking from town up to the B&B! (Taxis are available though for those who may struggle). Thank you very much for a very relaxing two day stay at your very beautiful B&B. Will definitely be back if staying in the lakes again. We received a very warm welcome &our room was beautiful. Much thought had gone into providing everything we would need &the honesty bar was much appreciated. Breakfast offered a wide choice &we liked the option of having small or larger portions. Would highly recommend. A very warm &friendly welcome at Beech House. Room was beautifull and tastefully decorated. Bed was luxuriously comfortable, the best. Breakfast was plentiful, tasty and lots to choose from. Service was of the highest standard. Would highly recommend to anyone visiting Kendal. Great location for me as I was in England researching ancestors who had lived in the area. We stayed at Beech house Kendal for one night, was a very friendly greeting, we were given an upgrade to a deluxe room and definately not disappointed,room was lovely plenty of choice on the tea and coffee facilities,Bed was very comfitable , breakfast was great nice to be offered a choice of omelettevery tasty, we will stay again. Lovely hotel &owners.Will be first choice of hotel next time I am in kendal. This is the second time I have stayed here in 6 months as I love it. The food is wonderful and the welcome warm. Thermos are always beautifully and lovingly prepared. I would highly recommend Beech House, the hospitality is first class! The accommodation was wonderful. So many little extras that made it feel like home. The breakfast was great. Hilary was marvellous and advised us where to go around town. The only thing against the hotel was it's position at the top of a hill - great for going in to town but rather taxing going back! Hilary did suggest taxis but we coped OK. But don't be put off by that, Beech House is definitely the place to stop. This is the second time we have stayed and had a fantastic time again, the room was perfect and the breakfast was divine!We cannot fault the service given by Hilary! Will definitely stay again and would recommend to friends and family. Thanks Jenny it was lovely having you stay. My daughter, granddaughter and I went today to the new café to try it out and sadly it was their day off!! We will go again on a day they are open, it looks lovely. Great location, friendly and helpful people. Great breakfast. Good room. We were only passing through, but were so pleased that we found Beech House.They property itself has so many interesting and attractive features and the rooms reflect the care with which the owners provide attention to detail.We had a very comfortable night in a spacious room with a fantastic view.The breakfast was delicious and, throughout, the welcome was warm.I would highly recommend Beech House for any length of stay. Could not recommend the Beech house higher. I was made to feel very comfortable and after a missed train and late arrival was upgraded to the Penthouse room. Breakfast was first class with plenty of choice and accommodating to requests.I will certainly be looking to stay there again next time I am in Kendal. Had a lovely two night stay. Clean, very comfortable and quiet. Great quality breakfast. Would reccomend. We stayed here for Easter weekend for my partners 40th Birthday. The Location is fantastic, The room was large and extremely comfortable and the breakfast was wonderful. The hosts are also very friendly and cannot do enough for you, I cant recommend this place enough it was worth every penny. Thank you for a lovely break. The rooms are very comfortable and beautifully decorated. Breakfast was delicious and well presented. We just loved our short stay at Beech House. From theMoment Hilary opened the door the welcoming atmosphere was set. Lovely fresh elegant roomand ensuite were thoughtfully equipped.The breakfast was yummy! Will definitely return. Great place to stay, very kind hosts excellent rooms and breakfast....ideal. Breaking our journey through the Lake District the Beech House was an ideal stop. Great hospitality, superb room and excellent breakfast. Would highly recommend. Even though I turned up quite late (8pm) I had phoned ahead and the welcome was warm and I was given excellent advice for a dinner venue. Room was comfortable and well appointed. Excellent breakfast. Parking and Wifi. Perfect for a business trip. Very comfortable.Friendly owner.Delicious breakfast and I appreciated the honesty bar system. This was my third stay at Beech House and, I hope, not my last. The accommodation and facilities are of an extremely high standard. Greenside is a lovely part of Kendal and the Rifleman's Arms is nearby if you fancy a decent pint. This was our second stay at Beech House and it was as good as the first time two years ago.Lovely spotlessly clean room, good quality breakfast and friendly hosts.... what more could you wish for :)We will definitely be staying here again when we next visit Kendal. A fantastic B+B. Grade A hospitality made to look effortless. I'm taking this opportunity to thank Hillaryand Phillip for a lovely stay,we where made to feel most welcome. The penthouse was immaculate in every way, the attention to detail was amazing.The breakfast was cooked to perfection,a lovely way to start the day.We stayed over the weekend of the severe storm but it did not spoil our stay. Phil was amazing on our day of departure,checking which roads were open for our journey home...much appreciated.I cannot recommend your accommodation highly enough. ..Thank you again. ...Morph. We stayed at Beech house as a couple over the weekend. The welcome from Hilary was beyond lovely and she did everything to make our stay more comfortable, including chilling a bottle of bubbles for us on arrival. The bed in the penthouse room was so comfortable we didn't want to get out and the breakfast was superb. If you are visiting Kendal stay at Beech House, you will not regret it. We will be back, thanks Hilary for a Wonderful stay. Greeted warmly by Hilary, I was shown to a beautiful, if compact, bedroom (4 - Low Tenterfell). It was perfect for one night for one person (and, indeed would be so for a longer stay). The bed was massively comfortable and I slept like a log - pretty amazing as I am a terrible insomniac usually. Everywhere is tastefully decorated and spotlessly clean. As for breakfast, well, what can I say?! I just wish I had a larger appetite as it was so delicious! Location-wise, it is in a great position, although the gradient of the hill(s) would be challenging for those of restricted mobility/puff - but the guidebook in the room helpfully gives instructions for the buses and taxis to get you back up the hill. A very enjoyable stay and I hope to return, for a leisure break next time! I would highly recommend this hotel.Owner was very friendly and helpful. Excellent variety of items on the breakfast menu, which was refreshing, not just limited to traditional breakfast!Breakfast came up quickly.Hotel was very clean and comfortable.I would not hesitate to visit again.Thank you for a great stay. Lovely hotel in a good location. We spent a very comfortable night. The owners are friendly people who catered for our dietry needs with an excellent breakfast. We would heartily recommend Beech House to other travellers. I requested an early breakfast and was pleased to see they made the effort breakfast was very goodThe room was first class. I felt very welcomed on arrival, and throughout my stay. The couple running Beech House are lovely. My room was warm and cosy and also fitted to a high standard, with everything I needed. There was also a kettle and large selection of drinks, and a chocolate and piece of Kendal mint cake left each day - a lovely touch.At breakfast I chose cereal and also had a choice of fruits and nuts and yoghurts to go with it - and the soya milk I'd asked for whrn I booked was there for me too. I then had a delicious red-hot cooked breakfast, with a pot of tea.Top marks all round. We found this hotel on booking.com and were pleasantly surprised that it lived up to the reviews and pictures. Very quirky rooms. Helpful staff and an overall friendly feel. Would highly recommend to a friend. Our two nights' stay at Beech House was very pleasant and welcoming. The accommodation was very comfortable and clean, although our room was a little on the small side perhaps. The breakfast was excellent and Hilary made us feel at home. It proved to be a good location for getting around the southern lakes. This was our first visit to Kendal, and what a find the Beech House B&B was from the moment of our arrival to departure everything was perfect.Highly recommend, breakfasts lovely and all staff, will be back again! We have stayed in a large number of B&Bs around the country so we know what is good and what is not. Our stay in Beech House was outstanding. Our room was well furnished with a comfortable bed, lovely bathroom, large TV and a large selection of refreshments (including a carafe of sherry). Breakfast was excellent with fresh fruit, local yogurt and good quality juices. The cooked breakfast was based on our personal choice. Our hostess was warm, friendly and made us feel exceptionally welcome. We intend to return. Absolutely fabulous place to stay, very beautiful room, excellent location, lovely polite owners. We will definitely be returning for a long weekends stay. Had a wonderful time at Beech House. Thoroughly recommended. We made the right choice staying here !What a lovely lady ! Beautiful hotel, made to feel at home, room was comfortable with everything you could want. Will definitely stay here again !! If you're looking for a B&B in Kendal don't hesitate. The bed was one of the most comfortable we have ever slept in, add to that flawless service, excellent breakfasts and additional special touches (a wide range of in room amenities, bath house toiletries and an honesty bar in the lobby) it really is a little touch of luxury at B&B prices. Friendly,helpful and very pleasant atmosphere. Very high standard in all things, soaps, food, rooms and general persona. Would certainly return, in the future, if in the area. Excellent. Excellent accommodation, facilities, and service, but the room was a little cramped. The Beech House was very lovely and we loved everything about it. Have stayed a few times at Beech House - always good. I had a quick bank holiday getaway to the Lake District via Virgin Trains and stayed just for a night at the cosy and homely Beech House Hotel/Bed &Breakfast.The hosts were warm, friendly and attentive - kudos to Hilary for offering useful tips on how to make the most of a very last-minute short stay in the Lake District (! ).At £60 per night, I had a comfortable and clean single Classic Double Room decorated in vibrant colours.Breakfast was also quite welcoming and delicious - more than sufficient for a good start to the day.What I had was essentially a 5-star single room accommodation in a townhouse with a pretty little garden on a hill.Kendal town centre is just a short 5-minute walk down a steep but scenic slope. (From there, take a leisurely walk to the Kendal Castle ruins.It's definitely worth the walk.) It takes about 15 minutes to walk to Kendal train station, from which one can travel to Windermere and tour the lakes.Virgin trains stop at Oxenholme train station and a one-way taxi ride costs about £8 to £10 (it costs more on bank holidays).If you don't have much to carry with you and are physically fit, the walk up the slope to the hotel from Kendal town might actually be a welcome workout. (A slightly less strenuous short-cut is through Booths Supermarket/Wainwrights Yard.) However, if you have heavy luggage and/or are not physically fit, please take a taxi. (I would also recommend taking a taxi to and from Oxenholme train station.) Being one who is particular about cleanliness, I was pleased that the hotel room was really clean and comfortable.However, the shower area was small and might be a bit of a tight squeeze for a larger person.Other minor details:the towel rail was not heated (I realised this only in the morning);the pedals of the albeit modern rubbish bins were not working;the TV had only one free-view channel;the scrambled eggs could have been runnier.To summarise:it was a verypleasant stay.Mission accomplished! We stayed here over the bank holiday. It is an excellent hotel. Very welcoming, very comfortable and very clean. The room had everything we needed and it was very quiet. The breakfast was delicious, we had a wonderful stay and felt very much at home !! Lovely place and very friendly. Would highly recommend. Lovely couple who run the establishment. They recommended a couple of local places of interest and beauty to visit which were worthwhile.Our room had the most powerful shower I've had the pleasure of standing under. Truly invigorating! This is the second time my wife and I stayed in this B&B and we found it to be equally as charming as the first. A warm welcome from the hostess from start to finish, with a luxurious room at a very reasonable price. A really beautiful place to stay with a very warm welcome from our host.We stayed in Room 5 (Greenside) it was extremely comfortable, with every detail considered for our stay.Beautifully clean, I really cannot fault Beech House.I would highly recommend staying here and we will certainly be visiting again. Arriving after a long day of travelling and work, a very warm welcome from Hilary was much appreciated. All the extra little touches give this B &B a very high standard which is reflected as they have high recommendations from English Tourism Council. Kendal is a beautiful place and I hope that I will be able to go back sometime for a weekend and to explore the area without having to work! Werecently had an enjoyable 2 night stay at the Beech House Hotel and would highly recommend it. We stayed in the delightful superking room which was very roomy and had a luxurious feel to it. The bathroom had two large pedestal basins and a roll top bath.The breakfast had a really good choice of dishes and fresh fruit, yohgurt, and nuts to begin as well as a good choice of fruitjuices and cereals. We would definitely stay there again if we were in that area. Had a lovely experience at Beech House Hotel. We were upgraded to a superior bedroom and enjoyed an excellent breakfast. Would highly recommend it to others. Exellent Bed and Breakfast, comfortable ,clean and friendly people. A very pleasant, well appointed house serving an excellent breakfast. Beautiful house, gorgeous breakfast nothing too much trouble. Spotlessly clean and very comfortable beds with hotel quality bed linen. What I love about this place is the attention to detail and the fact that there are no minor niggles.The decor is lovely and the breakfast was delicious.This is my second stay and I would definitely stay again next time I am in Kendal. Once arrived we found out we got pumped up to the Penthouse, which made our anniversary weekend even more special. The attentive host, the relaxing atmosphere, the great views Kendal had to offer and the advice we got on where to go and what to see helped us have a great time and make the most of it. The facilities provided by Beech House were brilliant. Roomsand breakfast excellent just an extremely enjoyable couple of days stay. Would definitely recommend the hotel to friends and family. Beautiful rooms, lovely breakfast and a great location. I stayed one night on business but would definitely return for a longer stay. A very stylish and comfortable hotel with a warm welcome,lots of helpful tips from our hostess and delicious breakfasts. 5 mins walk into town with a good choice of restaurants and shops. we will be coming back! Just returned from a 3 day break staying for 2nights at the Beech House Hotel. Great place to stay and took into considerationmy request for no feather pillows etc. Very clean and the bed in room 4 so comfortable. Amazing breakfast on both days. Hilary makes time to chat to guests and offers some good local information on places to go. Went to Romneys about a mile away and had fabulous food. However missed out the next night as didnt book in time. Would definitely return. Stayed at Beech House in March 2015. We had a lovely time. The room was superb and very comfortable. The owners were really nice and the breakfast was excellent. We would definitely visit again. Superb! My room was beautifulwith every facility you could wish for.The owners were lovely and helpful and the breakfast was perfect.I couldn't fault it. We arrived very late for our 2 night stay but were warmly welcomed by our host and shown to our room. All I can say is WOW to our room and ensuite. The room, "Tenterfell"was beautiful and large enough to spread out in.The bed was extremely luxurious and comfortable and the ensuite a real treat with heated floor and a shower that really was! The hospitality tray was full of goodies with tea/coffee, and other drink options as well as biscuits. Breakfast took place in a lovely airy room with views over the green and hills. A full breakfast was offered along with choices of porridge, pancakes, cereals etc. We chose the full breakfast and were not disappointed it was delicious with locally sourced bacon and sausage. Our host was delightful and made sure that we had everything we needed without being invasive in any way. A truly delightful stay and we will definitely return for another visit. Marvellous! Thank you. ten out of ten - a top class hotel - felt at ease and enjoyed our stay immensely. our room was lovely. very nice touches re:decanter of port,and nothing was too much trouble for our hosts. would definitely stay here again. The hotel is situated in a very nice area, being just a short walk to the town centre. Would recommend the community pub just up the road, The Riflemans Arms, for a good pint. Friendly warm welcome, lovely hostess, no fuss check in. Warm, clean beautifully decorated room. Comfy bed, good choice of complimentary drinks and bottled water. Heated bathroom floor and quality bathroom products. Wide variety of breakfast menu choice - delicious. I have just had my fourth stay at Beech House. Normally, I never go back. Not because I don't like places but because I love change. But here's an exception. If it ain't broke don't fix it. And I couldn't see anything broke or needing any fixing at Beech House! Lovely warm welcome, beautiful rooms, comfy bed, great breakfast choice. I will be back! We were impressed by the warm welcome, the comfortable ambience and the very good facilities. Thoroughly recommended. For someon ewho travels a lot with work for nearly 15 years all over the UK, the Beech House has to be best value ever.Great friendly atmosphere, everything is thought of and excellent breakfast as well.I don't normally submit reviews but this is 5 star all the way! Greeted by a very pleasant lady, room was extremely spacious and facility's were excellent would certainly return. A lovely house, extremely comfortable room, friendly welcome and immaculate presentation throughout. I'll happily stay again when I'm back in Kendal. Lovely B&B/Guest House in central Kendal, perfect for an overnight stay. Warm arrival, comfortable room, and tasty breakfast. If you are looking for a warm, friendy welcome along with unrivalled luxury and comfort then, look no further.I would actually go out of my way to stay here again.The rooms are exceptional:Beautifully decorated, very comfy beds and luxurious touches everywhere.The breakfast was fantastic with lots of fresh local produce on offer and plenty of choice.I was able to completely relax which, as a business traveller, is supremely important and also a rarety.I have stayed in many hotels and B&Bs around the UK and I can honestly say, this is the best!I would recommend it for any type of traveller.Thank you so much for taking such great care of me. Fantastic welcome and helpfulfood excellent, hotel situated in agood spot. My wife and I stayed in Beech House for our 20th wedding anniversary, we booked because of the good reviews, which can sometimes not live up to expectations, but in this case they did. We stayed in the Penthouse room, with a wonderful view over Kendal and the hills beyond. The room was immaculate and could not be faulted in any way. It was exactly what we were looking for. We had stayed in Kendal before, Beech Hotel is a 5 minute wakk from the town centre. It is at the top of a hill and the walk back up was fun but not too bad and you can get a taxi if you want. There is loads of restaurant choice, we went to a Thai restaurant (Jintana) and couldn't fault that either. What made our stay even more enjoyable was the owners, who could not have done more for us, and as a bonus we had breakfast (which was excellent) with some very friendly other guests. Overall a great weekend that we thoroughly enjoyed and we recommend Beech House to anyone looking to spend a relaxing weekend in the Lakes. Well worth its 5 stars! Brilliant stay, very enjoyable but not long enough.Beautiful room with everything in it that you would need. Definitely like to return. You can see why Beech House has a 5 star rating. The rooms and public areas are to an impeccably high standard. The thoughtful touches and the very friendly welcome are much appreciated. Oh and the breakfast is excellent too. Thanks! A very nice establishment luxuriously decorated but still homely. Nice touches e.g honesty bar. We were travelling home to SW Wales from Edinburgh and used this B&B as a stopover but would definitely return here for a longer visit to the Lakes in the future. We had a wonderful one night stay at Beech house and will very probably be back. The Penthouse room was lovely and the view was great. Breakfast was brilliant and we enjoyed the walk into town. A superbly furnished house.An extremely welcoming landlady.There was nothing more we could ask for.I cannot recommend it too highly. We only stayed one night to celebrate our wedding anniversary and whilst we did not share this info with the hotel we were offered a complimentary room upgrade. Beautiful room and en-suite with roll top bath and his and hers sinks. Lovely breakfast and free on-site private parking made our stay complete. We will be visiting again. Thank you. From the moment you walk in the front door you receive the warmest of welcomes from the host.The room was immaculate with lovely decor and all the facilities you need and more.Breakfast the next morning was perfect too, the best scrambled eggs and seeded granary toast, great start to a long day!Thank you for your hospitality! This is my second stay at Beech House and as before the welcome, room and breakfast were all excellent! Looking forward to staying again. Thank you! We loooved this B&B.Best one we have stayed at. Owner was extremely nice.We would definitely recommend it to anyone. We spent the night at Beech house while our kids stayed at a friend's house up the block.It was SOOO quiet and the bed was SOOO comfortable that we had a hard time getting underway in the morning.The owner is pleasant and the breakfast was good.Thanks for the wonderful respite in the middle of a busy family vacation! We had a lovely room, which was quiet and well appointed. Our Hosts were very friendly and all the time helpfull. From all our stays during ourtour through Great Britain we enjoyed here our best breakfast. Really enjoyed our stay at this hotel. The rooms are well presented and breakfast very enjoyable. Proprietor was friendly and very helpful providing useful information. The house itself is lovely and our Penthouse room had fabulous views, everything you needed was available in the room I.e. from toiletries to drinks and snacks. Hotel proprietors made us welcome and served a superb breakfast. Would highly recommend for a luxury stay in Kendal. Te sientes como en casa. Todo muy bien. The rooms were light, clean, characterful, beautifully decorated and furnished to a very high standard. Everything was well organised and our stay was relaxing and comfortable. Breakfast was really well cooked and delicious. Many thanks. We were welcomed like old friends by our attentive hosts. The house is beautiful &tastefully decorated with meticulous attention to detail;the service is of the highest quality &if ever inthe vicinity again, we would not hesitate to revisit. Beech house was beautiful. The bed was very comfortable and the room well equipped. The owners were helpful and welcoming and the breakfast was delicious. Well recommended. This is a very friendly and Bed and Breakfast with a lovely energy. The Greenside room is a great size and very well decorated with en-suite bathroom and double sink. If your visiting Kendal for work or play I recommend a stay at the Beech House B&BThanks for such a nice welcome and lovely accommodation. Fantastic hotel has everything you need for a holiday or business stay &is only a few miles from the beautiful lakes. I have stayed here 3 times now in 3 different rooms all of an excellent quality standard &the breakfasts are superb!!! We had a wonderful stay of three nights at the Beech House Hotel.From the minute we walked through the door the owners couldn't do enough for us.Nothing was too much trouble.We had a lovely room right at the top of the house overlooking the green in front.It was a deluxe room and we couldn't fault it.As well as the bed there was a couple of comfortable chairs and part of the room was almost a mini sitting room.The breakfasts were delicious.Would highly recommend this accommodation and would love to stay there again.The only downside was that it was a steep walk up from the town.This was no trouble for us but might deter someone who wasn't so mobile. We thoroughly enjoyed our 2 day stay at the Beech House Hotel.The reception we received was very friendly and our room was spotlessly clean with nice décor and acomfortable bed. Breakfast was perfection with delicious dry cured bacon and good quality local sausages giving our early morning taste buds a good start to the day.I would have no hesitation in recommending Beech House to anyone visiting this part of Cumbria. The hotel was lovely, the room was decorated very nice. The location was great for central Kendal and the Lakes. All in all a lovely stay and would recommend to all. Perfect location so adjacent to the town centre .Beech Hoouse was something else perfect in every respect bea utifulroom which cateredfor every need, changed daily, it'srated 9.5 at present should be 10 . What a lovely place &so relaxing. With a comfy bed &easy chairs the room waslovely. Breakfast was excellent and the owners really nice. All very clean as well. Only 5 minutes walk downhill to the main street, it was handy for both the bus station and a bit further to the rail station. Would definitely stay again if in the area. What a gorgeous place to stay! Hilary made me feel very welcome from the moment I arrived. I stayed in the Garden room, which was very comfortable, with a lovely bed and plenty of pillows.Breakfast was delicious, particularly the pancakes. It's only a short walk down into town for dinner, and a healthier one back!I hope to come back here soon. What a wonderful find and a warm welcome at this superb hotel. The rooms are elegantly decorated and are of a high standard, the perfect base for exploring the beautiful Lake District. Your breakfast choice is extensive and the food is fresh,locally sourced and delicious. A charming house with excellent views of the surrounding area, a gorgeous garden, comfortable rooms, excellent breakfast, and friendly hosts. Who could ask for more? Above expectations for an already highly rated establishment. The Penthouse room was excellently appointed. Everything else including friendliness of hosts and quality breakfast just added to the pleasurable experience. We had a wonderful week at Beech house. Our hosts were wonderful and attentive and gave us great advice about local restaurants and the surounding area. The room was immaculate and the breakfast superb. 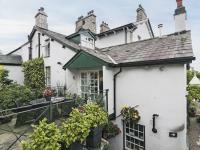 This is a wonderful place to stay in Kendal. Highly recommended! Absolutely loved our weekend away at this beautiful hotel....felt so welcome and the hotel itself is beautiful! There are so many added touches here that make it from the permits to help with parking to all the lovely details in the room and even umbrellas to help with the downpours! It felt like nothing was too much trouble... We arrived late at night but this was no problem. Breakfast was gorgeous. The room was lovely, bed was so perfect I didn't want to get up and the shower was amazing in the bathroom! Would recommend as a place to stay and will definitely be returning myself! Close to the town but nice and quiet! Perfect! I had a very comfortable room;very well furnished and immaculately clean.Everything worked.The shower was powerful and there was plenty of hot water.Breakfast was very good and the hosts were welcoming and friendly.When I couldn't park on site, there was no problem parking around the green.I can highly recommend this hotel. Could not fault the deluxe room. Comfortable bed. Beautiful decor and a nice view over the Green opposite.Excellent ensuite with a good shower. Everything spotlessly clean.Great choice for breakfast with food freshly cooked. Communal breakfast table if busy but it's an opportunity to chat to fellow guests. 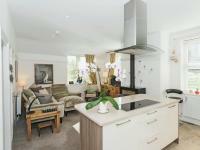 The lounge and breakfast rooms and other areas are maintained to the highest standard. Impressed by the welcome, standards (very clean), hospitality, room (Penthouse-very comfy, forgot to take a glass of Port before bed!) &breakfast choices.If we are ever in the area we would most definetly stay there again. Very impressed with Beech House and welcome we received.Enjoyed our short stay and the hospitality.Thank you both. Great room, breakfast, and convenient to Lake District! Lovely well kept B&B. Very friendly but not intrusive. Breakfast excellent and extensive. Would definitely stay again. We booked this weekend as a celebration for both of us finishing our final university exams. It is a beautiful B and B, the room was really well furnished and presented and little things had been thought of;the little black book to write down restaurant reviews, a selection of DVDs to watch if you fancy a night in. Great location, close to the town centre without being busy. The breakfasts definitely deserve a mention, a lovely selection and perfectly cooked on both days, both host and hostess were lovely and helpful with any request. A lovely stay that we will definitely recommend to friends, family and strangers! Thank you very much. Just returned from a two night stay at the Beech house and it met and surpassed all expectations.Deservedly 5 star rated and highly rated in other reviews! !Would happily recommend and hope to return again soon. Beech House is in a good location in Kendal, although up a steep hill. It's a very comfortable place to stay with excellent breakfasts and cosy rooms. I felt welcome and I'm sure I will go back. Enjoyed a very nice Easter break in Kendal.Picked the place off Trip Advisor based on the scores and were not disappointed.Hilary gave us a very good guide to the town on our arrival and showed us to the stupendous penthouse room, being on the top floor with views over Kendal and beyond.The room had everything we could ask for (even a decanter of port topped up each night) and the breakfasts were more than adequate.Kendal itself is a lively little place with lots to see and plenty of good eating places, both during the day and in the evening.Watch out for the long uphill walk back to Beech House each evening from the centre of Kendal - but it's certainly worth it for the accommodaton. It is lovely to arrive at a hotel where the care and design of both the house and garden is really evident. Lovely touches in the rooms, port and kendal mint cake. Delicious breakfast and extremely friendly welcome. Beautiful rooms, luxurious and comfortable. Definite recommend. Clean &cosy (we stayed in the Garden Room), good breakfasts and friendly staff. The B&B is in a lovely location, with lots of options to dine out nearby. Lovely, cosy rooms &communal lounge. Great breakfast &lovely friendly hosts. Fabulous detail like the bottled water &Kendal mint cake in the room! Extremely clean &well kept, close enough to walk into town too. Free on site parking &wifi, all the things we needed. Thankyou! A wonderful surprise, exceptional hospitality, superb room service and breakfast. Would recommend this to the discerning traveller. We would definately recommend a stay at the Beech House Hotel,the place itself is spotless, it is a short walk down the hill to the town centre at night time you can walk back up and have a night cap in the Rifleman's Arms which is a couple of hundred yards from the Beech House before you retire for the night and next morning you go for breakfast and get a nice greeting and your breakfast all cooked fresh to order and you can choose the time you would like to have this we will definately go back again. What a lovely property to spend a few days in the area, with a quality of room to match and an wonderful warm greeting from the moment we arrived.There are few places where we have been so warmly welcomed and looked after. The location and proximity to the lakes is fantastic, great breakfast at times to suit all. I am positive that we would certainly not hesitate to book again for a stay when visiting this area. Thankyou for a lovely stay. This is the 3rd time I have stayed at Beech House, I love it there. You get a very warm welcome, the rooms are fabulous. A very relaxing stay. Superb small hotel with a lovely personal feel.Great breakfast and the location is perfect. As a fussy person I spend hours researching hotels, etc and having now been to Beech House I can't find anything to critisise.Lovely rooms, attentive host and full spread with lots of hot choices at breakfast.Town just down the road too so location pretty spot on. Had 2 great nights at Beech House and felt thoroughly spoilt. Beautiful rooms, great home cooked breakfast and a warm welcome. Everything deserves the 5 star rating, Welcome, Comfort, Decor,Breakfast, in fact if I could give 6 stars I would.Perfeect for exploring the Lakes or just a relaxing break in an inyeresting town. I stayed with my Fiancée for the weekend and loved it. We were treated like old friends by our hostess and the rooms were as quiet and cozy as I have ever stayed in. Would come back to stay in a heartbeat. I had the pleasure of stay at the Beech House Hotel, although it was just for the one night, I found it to be an excellent and relaxing experience. From the warm and friendly greeting, checking my needs for the night were met and finally to the tasty breakfast service - nothing was too much trouble. My room was tastefully decorated, inviting and well presented. I strongly recommend staying and will be returning the next time i am in the area. Lovely Stay. Made To Feel Welcome From The Very Start.I Would Gladly Recommend This Place To All. Fantastic restful one night break at the Beech House without the kids was just the recharge we needed. Lovely hosts, plush but comfy rooms and a delicious home cooked brekkie. Would recommend! Just stayed at the BeechHouse Bed &Breakfast. Extremely clean room, exellent breakfast, staff very attentive. Would highly recommend this to fellow travellers. fabulous! lovely room with lots of extras and wonderful breakfast.will stay again without a doubt. The Beech House is a great placed to stay, with lovely rooms, warm staff and good location.I would highly recommend to others. Lovely breakfasts and very comfortable bed . I must admit that we found the shower in the De luxe room somewhat tricky to use! Very accommodating. Left breakfast out for us because we had to leave very early in the morning. Lovely room. Comfy bed. Very nice Hotel. After arriving at this guest house in the pouring rain we were pleasantly surprised to have been allocated the Penthouse Suite. Three wet days exploring Kendal made it all worth while coming back to this fantastic Victorian House. Would love to come back, and would definitely recommend. Lovely hotel. Was very looked after and had the beautiful penthouse room (8). Breakfast was great. Excellent food, gorgeous warm and clean bedroom and very comfortable, quiet nights sleep, with no disturbances, excellent hosts. Wonderful warm welcome greeted us on arrival at Beech house. The weekend away was a special treat after a hard year working all hours. Room was exceptional all amenities, food was terrific. The short walk into town to enjoy the shops and restaurants was enjoyable. planning on another visit during warmer months. A+ accommodation. Warm welcome, very comfortable well appointed quiet room.Good recommendations for restaurants for dinner. A brisk walk up the hill from the restaurant after dinner was a positive too. We will definitely stay again when passing through the Lakes area. We had a lovely stay at Beech House - friendly welcome, lovely room, scrumptious breakfast.Nice additional touches like a small carafe of port to enjoy at the end of the day.We will definitely be back. Beautiful room, lovely hosts, fantastic breakfast. Thoroughly enjoyable stay. Thank you. A really nice place.Very comfortable and homely. I would certainly recommend staying there and would do so myself. Very comfortable guest house. Great attention to detail, everything provided. Good breakfast. Owner attentive without fussing. Our stay at beech house was one of the best, the rooms were excellent comfortable and clean. The breakfast was superb, the host &hostess could not have been more helpfu,we have no doubt we will be staying again. Lovely house excellent breakfast. Friendly helpful owners. This hotel was great, outstanding service beautiful room and gorgeous food. Everything you could want from a hotel would definitely go back. Very friendly, efficient, warm and comfortable. Breakfast excellent. Always busy so book early! I have been travelling around the UK on business almost every week for over 20 years, so I've stayed in rather a lot of hotels and guest houses. Beech House was one of the best. It's true that if you're elderly or infirm and you don't have a car, the long walk up the very steep hill from the town might be a bit challenging, but the trip downhill makes up for it! My room was excellent and well equipped with lots of 'extras'. WiFi worked well, which is essential for my work. The only slight note of caution (at least in my room - Greenside) is to make sure you have the temperature in the shower exactly right before you get in. Mine seemed fine but then got steadily hotter and I had to get out rather quickly because the hot and cold taps were the other side of the shower curtain! Breakfast was excellent, and the owners extremely helpful. I was most impressed with the speed at which they arranged to correct a small detail on the website (the distance from the station). I would recommend this B &B to anyone. I stayed at another one nearby a few months ago and it simply didn't compare. Beech House Hotel is wonderful, friendly, and extremely comfortable.Everything is immaculate, the food is delicious, and the owners very accommodating and helpful with every kind of arrangement, recommendation, and assistance in getting around Kendal and the Lake District.We plan to return very soon! Fantastic B&B! We took the basic double room which was small but very comfortable. The breakfast was excellent:fresh and tasty ingredients, served by very friendly and welcoming hosts. Highly recommended. Lovely b &b, well appointed, good location, friendly people. I stayed at Beech House with my two sons (11 and 13). I don't think younger children would have appreciated the quality of the food and accommodation. This is a wonderful guest house. The owners and staff were professional, but warm, and didn't bat an eyelid when my son accidentally poured half a pot of honey into his lap. This B&B is a gem , clean, cosy, close to the centre , excellent breakfast with a big variety of food to chose from, friendly and helpful hosts, plenty of parking. We will certainly be back . Thank you! Great base for a walking weekend in the South Eastern Lakes.Phil and Hilary were very friendly hosts providing a comfortable and cosy place to stay.Lovely breakfast spread, would consider this establishment as a place to stay when in this area again. Our stay at the Beech House was excellant room was lovely and the breakfast was expertly cooked and presented. A great place to stay. Great welcome, great accommodation and great breakfast.Highly recommended. enjoyed a 3 night stay in the beech house and have to say everything about it was superb. a beautiful room which was very comfortable, lovely varied breakfast and our hosts were very welcoming. highly recommended. My partner and I were very happy with our stay, it was warm, cosy and most importantly homely. Thank you to a lovely couple. Very nice B&B, very welcoming and helpful owner. convenient location, very clean. Excellent breakfast. Only down side from our point of view was that the bed had a footer on it which is no good when your partner is very tall! Our fault for not thinking in advance though! Overall excellent. Comfortable, friendly, lovely place - would highly recommend staying there. Lovely elegant hotel, very comfortable and tastefully decorated.Friendly and relaxed and good choices for breakfast. STAYED 3 NIGHTS IN THE GARDEN ROOM WHICH WAS MOST COMFORTABLE. BREAKFASTS WERE SUPERB. MADE VERY WELCOME AND THE GUEST HOUSE WAS IN A HANDY LOCATION FOR VISITING THE LAKES. Very friendly B&B in lovely position. Our bedroom was very comfortable and full of interest. Nothing but praise for this excellent guest house in every respect. The welcome was warm and friendly and the facilities great. Our room was lovely with a great outlook. We have stayed at Beech House before and look forward to the next time. No point in trying to find anywhere else. There's a recommendation! Despit the weather we had a lovely weekend in Kendal at that was du in part to the wonderful accommodation at Beech House. Warm welcome, lovely breakfast and great room. A well run, quality establishment which is set up and run to a high standard. Rooms are of a high quality and very relaxing. Good quality fittings throughout and excellent breakfasts. Friendly place to stay and no negative comments to make at all. Beech House is a lovely little gem of a hotel. Beautifully furnished and decorated and lovely clean, comfy bed. The owners are delightful and the ambience incredibly friendly. Wouldn't hesitate to recommend it. We had a wonderful stay at Beech House, what a beautiful house!! The room was perfect, bed comfortable, breakfast wonderful with a great choice, owners warm &welcoming. We would definitely recommend a stay at Beech House. Especially the port and mint cake and tea and wafer biscuits and breakfast and letter on the door and friendliness and fireplace and curtains and bed and seats and so on. We had a lovely time at the beech house. The place was beautiful and the people very helpful and friendly.Waking up to a nice homemade full breakfast is always great to get you going and kendal town centre is not far.We thoroughly enjoyed our time here and would like to come again in the future. An excellent and friendly hotel where nothing has been forgotten. Warm and comfortable, cosy and luxurious. Easy access to Kendal town center, and an honesty bar for when you get back. Room full of treats.Like staying at a distant relative's! Loved it. A lovely B&B in a good, quiet location. What can I say really?? Amazing in all ways! Comfortable bed in a wonderful room and a breakfast to die for! The hosts were brilliant and very kind indeed. Loved it and I will be back... Definitely! Thank you. We really enjoyed our stay at the Beech House, our room was beautiful, very clean and well equipped, (the whole hotel was extreamly clean with lovely decor.) The view from our room was lovely and we slept well in a very comfortable bed.The Beech House had a calm relaxed feel to it and was made very welcome. At breakfast we had plenty of variety and the food was very good. I would defiantly recommend this b&b to others, and would return again if I was in the area. Complete satisfaction with the hospitality and attention to detail.Could not be better. Very nice hotel. Near city centre. Great breakfast. Nice people. Well located,nicely decorated, perfectly equipped, plus very friendly and customer-oriented hosts. Lovely room, good shower, great breakfast. If only everywhere was like this. Stayed 2 nights in the "Penthouse"room. It was a beautiful room with a nice view. The breakfast served was excellent and the owner was not only a great cook but was very friendly and gave us a lot of information on what to do in the area. Would recommend. Great location, quiet but a quick walk into Kendal. Lovely, relaxing and full of thoughtful touches. Welcoming and helpful hosts. Superb. Lovely hotel with a most comfortable well decorated and clean room. Not too far from town, just a 5 min walk. The tasteful lounge was most welcoming for an evening drink and relaxation. Slept very well. Breakfast was great and staff very friendly. Would recommend to anyone. Lovely place to stay I felt very comfortable.Good WIFI connection and recomendation for DEJAVU restaurant.Thank you I will come again. Nothing bad to say about my stay at Beech House.The room was excellent and the whole premises immaculately clean and tastefully decorated.Lovely breakfast too.Good friendly service too.Easy walk down the hill into the town centre.Excellent!! Delightful! Would definitely stay again- if we could get in! Excellant stay,very warm welcome,the room was warm and clean and breakfasts were delicious. Would recommend this hotel to anyone. I slept better than I do at home in the comfy bed with super soft pillows. Hilary was very cheerful and helpful in helping us to decide where to go for a walk and the restaurant folder made choosing our evening meal a breeze! My husband and I were lucky enough to pick up a cancellation at Beech House for our two nights stay in Kendal. It was all and more that we could have asked for. Our room had been upgraded and we enjoyed the splendid view out over the town to the hills from the spacious and elegant front bedroom. All the special touches were there, from a decanter of port in our room to a magnificent bathroom, a superb breakfast and private car parking, not easily come by in this town! Hilary even found some old maps of Kendal for us to peruse to help us in our family history research. To top it all the sun shone throughout the two days and completed a delightful and memorable experience. We know exactly where we will return to when next we visit Kendal - the lovely Beech House. Thanks for making our stay so enjoyable. Friendly staff and a great room with lovely views of the surrounding countryside. This was the loveliest B&B we stayed at during our tour around England. The room was nicely decorated and breakfast was superb. Would certainly stay here again. I would thoroughly recommend a visit to Beech House which is conveniently located in Kendal and a useful base for visiting the Lakes, or celebrating with local friends as we were.From the moment we walked in to the hallway we were made to feel welcome.There is a luxurious feel to the accommodation which is immaculate, but exceptionally comfortable and homely at the same time. We had the Penthouse which had a lovely view of the distant hills (through the mist!) and was a welcome retreat from our wet walks.The complimentary port was a bonus!Excellent cooked to order breakfast with plenty of choice served in elegant surroundings.Lovely!Parking was also provided which was a bonus.Definitely worth a return visit. Welcoming, very clean, excellent location with modern rooms, quality furnishings and excellent choice for breakfast. Highly recommended. A pleasure to stay . hosts were very helpful and the room had all the facilities including iron board and iron which was very useful. Great choice for breakfast.Will definitely stay again as I have a friend who I visit in the area. We had a great welcome.Our room was one of the best we have stayed in,and we had a great choice of food for breakfast which was delicious. Gorgeous room in outstanding luxury accommodation - high standards of cleanliness and attention to detail -friendly welcoming host and staff with expert local knowledge and advice - delicious breakfast - lovely quiet location close to town centre - perfect stay everything first class and simply delightful. A warm and friendly welcome, beautiful room and good breakfast.I was sorry that I was only booked in for one night.Would certainly use again and would recommend. Very warm welcome. Lovely, big and comfortable room with stunning views across Kendal and the hills beyond. Will definitely be returning. The staff were very helpful and friendly. Everything was explained clearly. My room was lovely and clean and comfortable. Breakfast was good although a few more cooked breakfast choices for vegetarians would be good. It would also be nice to see them using locally produced food, but good that it was supporting local restaurants. Many thanks for your review, we always appreciate it when people take time out to do one. We very much enjoyed having you stay with us. Perhaps I don't make enough noise about it, but we do use mostly, locally produced food. Our bacon sausage and eggs have all been specially selected for quality by us, they all come form local farms and are truly delicious. Other than the full Cumbrian breakfasts and the sausage and/or bacon sandwiches, I think everything else on the menue is suitable for vegetarians, including the homemade pancakes with Maple Syrup, lemon & sugar or cheese, plain or cheese omlettes, tomatoes on multi seeded toast and Porridge, we often have mushrooms too and salmon by special request.I hope that suits most vegetarians. Thanks again for your comments, we found your review helpful. Would definitely return to Beech House! Made to feel very welcome... lovely people, lovely boutique style hotel <3 Handy for Kendal town centre and don't miss having a meal at New Moon restaurant ... you won't be disappointed! Beech house is a lovely B&B in the beautiful lake district.The location is quiet, yet just a few minutes walk to town.The owner is so gracious and helpful.A very relaxing stay.The pancakes at breakfast were delicious! Absolutely flawless, even had Horlicks on the tea tray!! these things are important at a certain age ok?. lovely room, food,etc etcshame we only stayed one night. First Class B&B, from the minute you walk in to minute you leave. My second visit to Beech House did not disappoint.Friendly welcome and delicious breakfast!! Apart from the very wet weather another great time in the Lakes. As always the Beech House was excellent, and we would continue to highly recommend it to all vistors. Beech House Hotel is very welcoming and comfortable, with a lovely breakfast - good choice of food and high quality.The situation is close to the centre of Kendal, though up a steep hill for those arriving by public transport. It was well worth the climb though! We spent last weekend at the Beech House Hotel.Although the weather was poor, the hotel brightened up our weekend.Our room was very comfortable and decorated to a high standard.The hotel was full of character.Breakfast was excellent, plenty of choice.There was a bar with drinks and snacks if you wanted them and there was plenty of information on the surrounding area, where to go and things to see etc.The walk into town only takes 5 minutes but the walk back takes longer due to the hill - it is a challenge! !We would definitely recommend Beech House Hotel. Absolutely stunning accommation. Would put a home from home but my home is not as nice! Friendly welcome, lovely breakfast.Many thanks. Really nice and welcoming hotel. Excellent rooms, brilliant breakfast.Very friendly service.Would happily stay again. Excellent hospitality. Room was lovely.Would definitely recommend. Everything about our stay at Beech House was perfect.A very warm welcome, fantastic room, great breakfast and a lovely building.The hotel is near enough to town to be able to wander in.We would definitely stay here again. Our second visit to the Beech House and was once again perfect. Made to feel very welcome and comfortable by the owners and every detail has been considered. Hotel is well maintained, has lovely decor and is spotless. Excellent choice at breakfast and good quality food. Would highly recommend! Lovely house and room, with excellent hospitality and breakfasts. No complaints at all, except perhaps to have a few more individual tables at breakfast. A very pleasurable stay. Location excellent for public transport, restaurants, shopping, sightseeing etc. The staff were very welcoming and helpful. The deluxe room was to a very high standard and comfortable although disappointed that the roll-top bath was very small, my husband could hardly fit in it. Lovely personal touches throughout. My colleague and I stayed at Beech House for one night - we were disappointed we couldn't stay longer!The rooms were very luxurious and contained everything you could possibly ever need, and we were made to feel so welcome. The rooms were spotlessly clean. The breakfast menu was vast and what we had was delicious. I travel a lot on business and am usually disappointed when I arrive at my hotel as they usually don't live up to expection (or as they were described on the web) - not the case with Beech House, it was everything they said it would be and so much more. I stayed in the Penthouse and will definitely return with my husband. A beautiful bed and breakfast. Lovely rooms and very accommodating hosts. Fantastic service and great breakfast !! Would not hesitate to recommend Beech House. Thankyou. The entire experience was a pleasure from start to finish. The room was immaculate and the service was impeccable. Thank you very much. I will be back! Cant fault it in any way.... everything 5 star. This B+B is an absolute gem, which i would recommend to anyone. On arrival we were upgraded to the penthouse room, which was very spacious, comfortable and beautifully decorated. There's no curfew and you have keys to the front door so you can come and go as you please. The breakfast was delicious, with plenty to choose from, we had the full english which i couldn't fault. The hotel is Just a few minutes walk into the center of town, which is lovely, with a good variety of pubs and restaurants. Overall we really enjoyed our stay and would definitely return to the beech house. Quite simply the best B&B we have ever stayed in.We shall return. Many thanks for your great review, we shall look forward to seeing you again sometime and hearing how your future plans work out. Mean while enjoy the rest of your time in France, it's so very lovely.PS What a rubbish rugby score!! I think the French deserved to win it. We enjoyed our stay very much and were honoured to find that we had been upgraded when we arrived.Pure luxury and very sumptious!As we found last year, the hotel is spotlessly clean and top class.Thank you very much for making our stay so enjoyable. The attention to detail and special touches make it hard to beat Beech!! And Hilary goes out of her way to help her guests in any way she can. Beech House is as good as any luxury boutique hotel but at a reasonable price. The Penthouse Room is especially stylish and spacious. A high quality B&B. Large comfortable room which contained more than you would normally expect from a B&B. Hilary and Philip are a lovely couple who made you feel very welcome. Would stay again. Mum and Dad had a great stay at the Beech House over my birthday weekend. They loved the room, the breakfast and the hospitality. They could not stop commenting on how spotless the place was Thank you for making it special for them. Thanks for the lovely review, it was great having them stay. My friend recommended me to go to Beech House.We stayed there for one night.The host and hostess of this house are very kind,giving us many suggestions about travel.The room is also beautiful and comfortable. And good breakfast.We like it. We 'found' this hotel on the WWW and have to say that it proved to be an excellent 'blind' choice.The welcome was very warm and friendly, the room was beautifully decorated, light and VERY comfortable.Thoroughly recommend this accommodation and we hope to return when we are next en route to the Lake District.Thank you very much for a wonderful stay that will be longer next time. Beautiful house/hotel with great decor.Only down side for me was that the room was quite small and had no bath - shower only. Hello KimThanks for the review I'm pleased you enjoyed your stay with us, perhaps next time you could try one of our deluxe rooms, they are considerably bigger with bathrooms with bath and shower. An excellent B &B which surpassed our expectation. Located close to the town centre but in a quiet attractive location. A comfortable bed, well-equipped shower room and an excellent breakfast. This was my second stay at Beech House and I cannot fault it. I am booked in for a further stay in August with a friend from the USA. The rooms are spotless and the breakfast menu caters for all tastes.You will receive a warm friendly welcome on your arrival. I would thoroughly recommend Beech House Hotel both to colleagues or to friends and family travelling in the area.The bedroom was decorated beautifully and I could not have received a warmer welcome.Thanks to all there! A wonderfully friendly and luxurious B&B. The room was just lovely and breakfast marvellous:both range of choice and quality. Conveniently close to the centre. If I'm back in Kendal, I wouldn't look further than Beech House. As a frequent traveller to Kendal from Somerset it is always great to have a warm welcome after such a long journey.I always choose Beech House for it's welcome, convenience to the town centre and comfort of it's rooms.A real home from home. Stayed at the beech house for 3 nights in the penthouse suite.Perfect location, very high standard throughout the property. Lovely host.will stay again and recommend to thers.Thank you. Wonderful B&B. Will definitely stay here again next time we are in the UK. Lovely B &B. Made very welcome with tea and coffe etc in room. Comfy bed and lovely shower. Good choice of breakfast and a nice touch was the 'Honesty Bar' - to help yourself to drinks in the evening if required. It was a lovely place to stay on our travels through the lake district. We were well looked after and the personal touches were very nice. We will return in the future when visiting the lakes. Well recommended.